1. Core the apple and cut it into thin slices. 2. Make a batter with the refined flour, curd and water. 3. Make sugar syrup and add saffron into it. 4. Dip the apple in the batter and cook on a slow flame turning sides till it is crisp and golden in colour. 5. Soak it in sugar syrup and take it out. 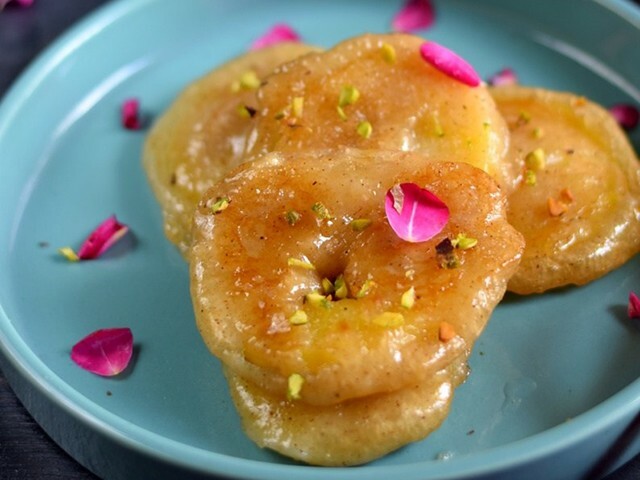 Feel free to comment or share your thoughts on this Apple Jalebi Recipe from Awesome Cuisine.